The Russian civil helicopter fleet’s combined operational hours flown dropped 8% year-on-year in 2015, to nearly 410,000 hours. UTair Helicopter Services (UHS) continued to lead the list of domestic commercial rotorcraft operators with 18% of the total hours flown (against 14% in 2014), the Transport Clearing House reports. 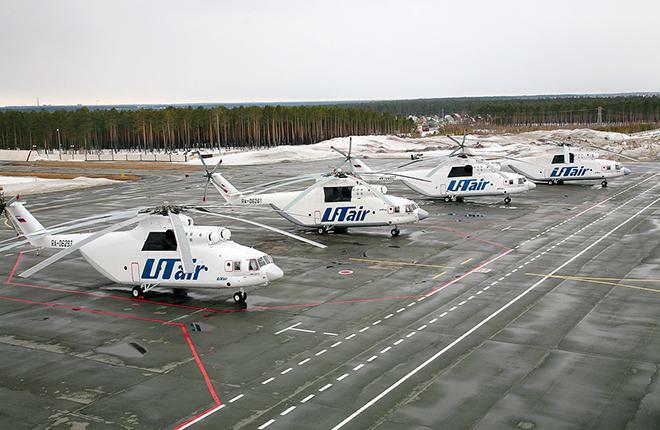 UTair Aviation, UHS’ parent company, ranked third among the largest Russian helicopter operators in 2014, but has since left the top 10 after attaching the greater part of its helicopter fleet to the dedicated rotorcraft operation. The Federal Air Transport Agency reports that UTair had 57 helicopters in mid-2015, compared to 22 in mid-spring 2016. Gazpromavia retained its second position last year with 45,000 hours flown (up 2% year-on-year). Yamal Airlines moved up a rung to 3rd place; AeroGeo advanced one position up to 4th. Convers Avia jumped to 6th position from 9th the year before. Turuhan Airlines moved down from 6th to 8th position; Komiaviatrans, from 8th to 9th. "At present, UTair Group’s helicopter fleet is at its full complement"